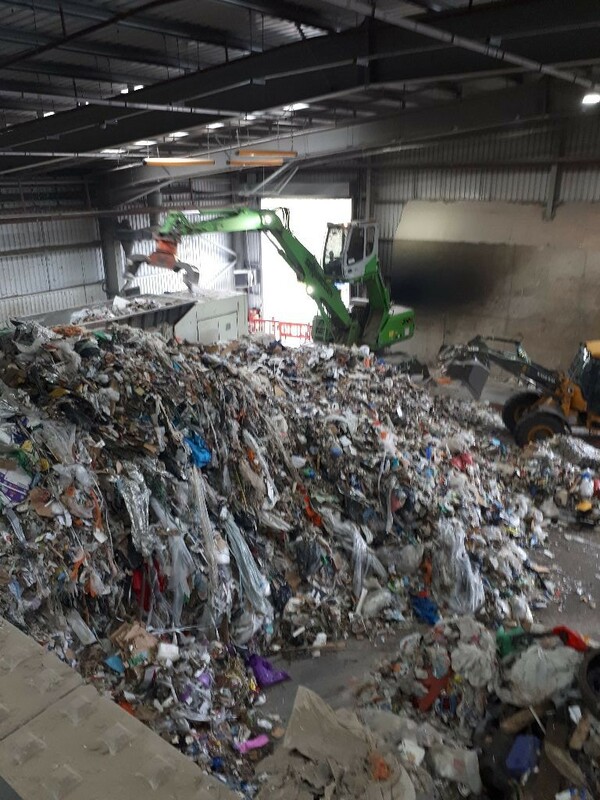 In view of its ongoing JV with South Wales waste company to build a new 100,000 tpa SRF plant, the Alpha-Financials Environmental team visited several RDF , SRF and EfW plants amongst which the RiverRidge plant in Belfast, the Heathrow Oakleigh (Stadler) plant and the Corby Riverside EfW plant. This enlarged our understanding, not only the process of producing SRF itself but also about the characteristics of the RDF and SRF as well as their final destinations. A materials recovery facility, materials reclamation facility, materials recycling facility or Multi re-use facility (MRF, referred to as a “murf”) is a specialised waste handling plant that receives, separates and prepares recyclable materials for marketing to end-user off-takers. 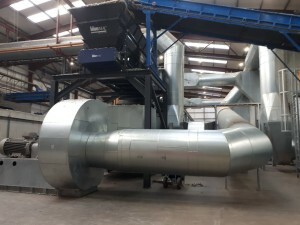 Using a linear set of processes, the set of belts, drums, density separators and shredders separates ferrous metals, non-ferrous metals, fines, heavies and combustible organic material into bays. 2. Material passes through multiple segregation units, including magnets, an eddy current and weight divider. 3. 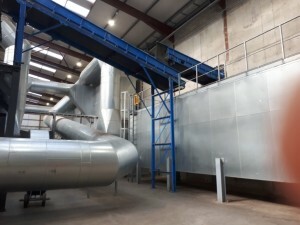 When producing SRF waste passes through the dryer (left) and the passes through an activated carbon filter (right). .
4. 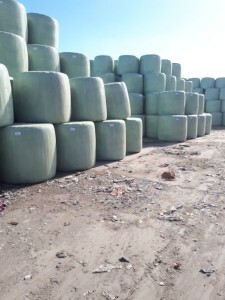 The material is compressed, baled and wrapped before being stored. In first instance the output before being dried is referred to as RDF, a fuel of lower calorific value (CV) , which is mainly destined for the Energy From Waste industry. If passed through the drier with enhanced CV and more precise characteristics relating to chloride content , size etc…, the fuel produced is called SRF and is sold through a procured fuel use contract. Off-taker industries include steel manufacturing, power generation plants and cement producers. Some plants export up to 80% of the material to the continental countries such as Germany, Poland, Portugal and Greece. Within the UK SRF appears to travel across the country. Plants that have a drying facility can typically alter between RDF and SRF batch output, which is specified by the fuel supply contract. Refuse Derived Fuel (RDF) – is a fuel produced by shredding and dehydrating municipal solid waste (MSW) via a process such as MRF. 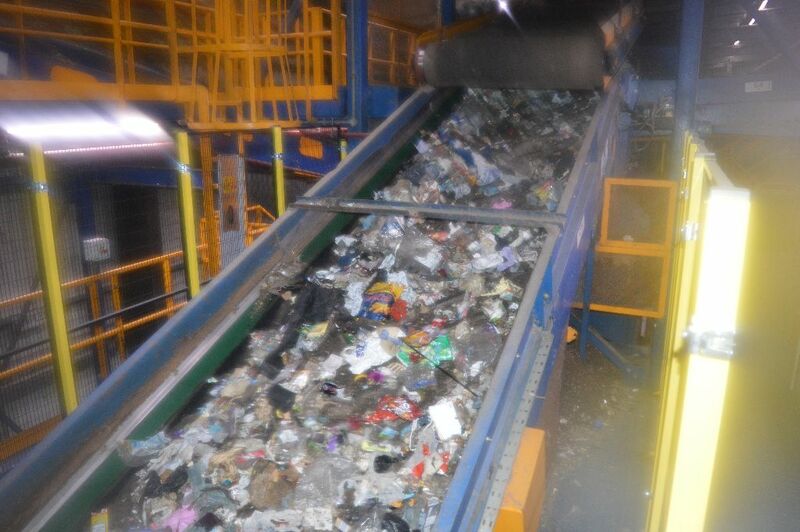 RDF consists largely of combustible components of municipal waste such as plastics and biodegradable waste. Solid Recovered Fuel (SRF) refers to a higher quality product to CEN (Comité Européen de Normalisation) standard CEN/TS 13359 with most of the low calorific value materials removed, and the remainder processed to a smaller, more uniform particle size, which serves as a superior feedstock for incinerators. Yes we recycle but we rather not re-use it. Costa Coffee reduces waste... ingenious. Cherry Tree Preserves, based in Dorset, is an award-winning producer of pickles, chutneys and preserves. Jars are made in small batches using traditional recipes and the finest ingredients. Their products are sold at local markets, outdoor events and shows and can be bought online.